With the highest offer of INR 24 lakhs, SDA Bocconi Asia Center is in the making of an outstanding placement season. Recruiters include the likes of Deloitte, ICICI Bank, Idea-Vodafone, Tolaram group, BigBasket, Quarry, Vito Altor, H&M, Luxottica, Nykaa, Future Group, Garware Polyesters, Fiat, Larsen & Toubro Infotech, Manpower Group, Michael Page, Belgian Waffle, Konsälidön, Soulflower among others. This is in addition to our old recruiters who have made offers to students. The current interim domestic average stands at an average of INR 11.36 lakhs. There is an increase in the class strength over the previous years; 120 students for the first year and 84 students for the graduating class. 82% of all positions were for Multispecialty Business Roles including Consulting, Finance, HR and Talent Acquisition, Product Management, Category Management, Brand Management, Marketing, Sr. Analyst, Management Trainee, Area Sales Manager, Business Development amongst others. Moving ahead, the focus of SDA Bocconi Asia Center will be to add more depth to the spectrum of domains and specialisations. But how did SDA Bocconi Asia Center go about acing this placement season? It is one thing to get outstanding companies on your campus to recruit but from thereon, the responsibility lies on the student to make the most of it. It is rather a process of learning, a journey more than a destination, that aids in having a spectacular placement season. Here is how SDA Bocconi Asia Center ensures that each and every student is ready for the companies. SDA Bocconi Asia Center has a dedicated Career Development Service that equips students with the necessary skill set to put their best foot forward while appearing for placement interviews. In this 8-step process, SDA Bocconi chronicles what worked for them to have an outstanding placement season. The common thread during admission interviews at SDA Bocconi Asia Center is that students are, almost always, absolutely sure of where they want to go after an MBA. Based on their experience, they have seen some very interesting and successful 40-year-olds still trying to figure this out. They encourage students to leave the impulse of necessarily having it all sorted out on the 1st day in class. Periodically, members get options to exit clubs they are no longer keen to pursue and zero in on one or two focus areas to delve deeper in. Clubs, Alumni, Career Development Services, and external Coaches work with students on preparing a learning plan to pursue in their time on campus based on the career life goals of each student. Activities and learning are then focused keeping the learning plan as a guide. 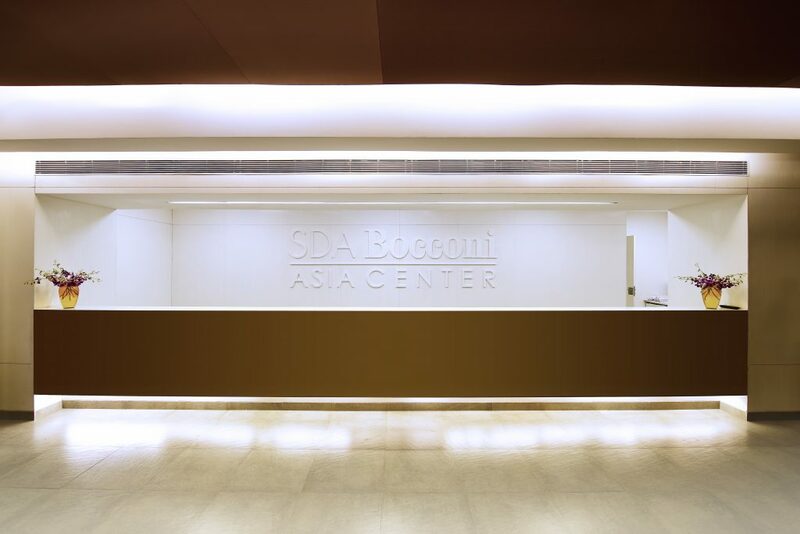 SDA Bocconi Asia Center offers world-class faculty and pedagogy from its campus in Milan. This builds strength in theoretical concepts with the help of case studies. Theory, along with real-life industry experiences, is used to impart the nuances across industries, companies, situations, and geographies. This is augmented by specialised skills across industry-relevant tools such as SQL, Python, Tableau, Advanced Excel, Audience Communication, and other industry best practices. A doctor needs to deliver on medical advice, a software engineer needs to deliver on application development. An MBA graduate is expected to deliver on “Everything” Business. This includes both frameworks and knowledge for making decisions. Frameworks allow students to come up with decisions that would be consistent over time and not accidental. Knowledge, on the other hand, allows students to apply those frameworks across industries keeping in mind numbers and drivers across industries. Based on the learning plan devised for each individual, this knowledge is assimilated using material from classes, workshops, Industry discussions and interactions among other platforms for collaborative learning. – Learning specific to projects in the 3 weeks leading to the internship projects. – Mentors from industry as well as alumni are assigned to each intern to help them through this short but important period. Weekly calls on providing support towards execution are held to intervene early and on time. Post the internship, with more information at hand, a second round of honing on to the target roles and careers is done, followed by the specialisation semester in Milan. These are some of the areas covered to help students navigate this phase in a mature manner. Some people will opt for PPOs, some will be targeting mainstream areas, while others will be aspiring for niche areas such as Cleantech or Public Policy. A customized approach for each is hosted and access is provided to all to interview for their respective areas. What happens after the Final Offer? The Journey Has Only Just Begun. As students approach graduation and decide on the companies that they are going to join, a program to help them transition from the classroom to the career is administered. While at SDA Bocconi Asia Center the focus is on having students being both theoretically robust and grounded in reality, it is often the gaps between these two areas which serve as an experience and prove to be the best teacher. Lastly, an alumni mentor is assigned to each student based on their newly assigned corporate roles to coach them and help them score some quick wins in the initial phase, thereby launching them in the right direction.